My favorite sports bottle because it has a handle, and it is leakproof. NEW. My favorite sports bottle because it has a handle, and it is leakproof. The handle easily accommodates a two-finger carry. 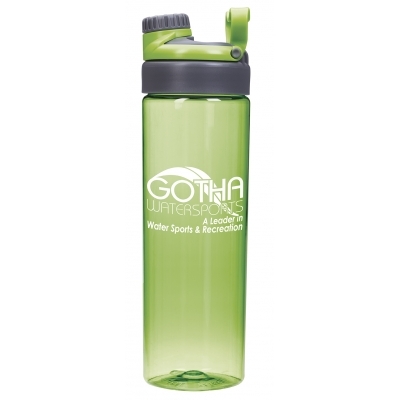 For people who are on the go, this large capacity sports bottle is easy to carry. It has a screw-on lid to prevent leakage. BPA free. Colors: Clear, Charcoal, Green, Blue. Setup: $50 per order, for 1-color imprint.